This paper presents the design of Smart-phone Based Home/Office Automation System with environment monitoring with low cost and wireless remote control. General idea of home/office automation shows the quality of human being at office/house. Prime focus of this technology is to control the office/household equipment’s like light, fan, door etc. automatically. In hazardous condition, it is useful for old aged and handicapped persons. Also, the smart home concept in the system improves the standard living at Office/home. The main control system implements wireless Bluetooth technology to provide remote access from PC/laptop or smart phone. The design remains the existing electrical switches and provides more safety control on the switches with low voltage activating method. The system intended to control electrical appliances and devices in office/house with relatively low cost design also for physical environment monitoring, user-friendly interface and ease of installation. SUYOG SHRIPAD PANDE, AARTI R SALUNKE. "Smart-phone Based Home/Office Automation With Environment Monitoring." 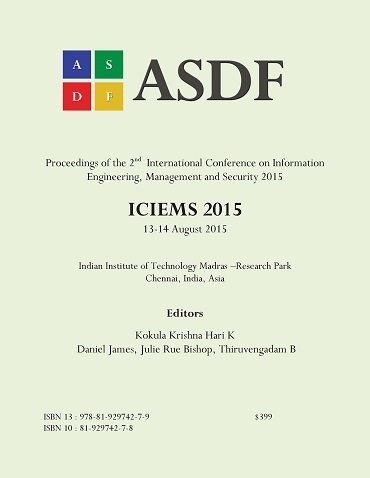 International Conference on Information Engineering, Management and Security (2015): 318-322. Print.